Kids love Halloween and they love sporting awesome Halloween gear all October long. Let’s face it, Halloween is too exciting and too much fun to only happen one day. So why not let them celebrate their love for the day of spooktacular fun all month long. With some great Halloween tees your little monsters can be decorated for fun all month long. Right now The Boy’s Store has some awesome Halloween tees, so get ready to treat your kids to some amazing new gear. 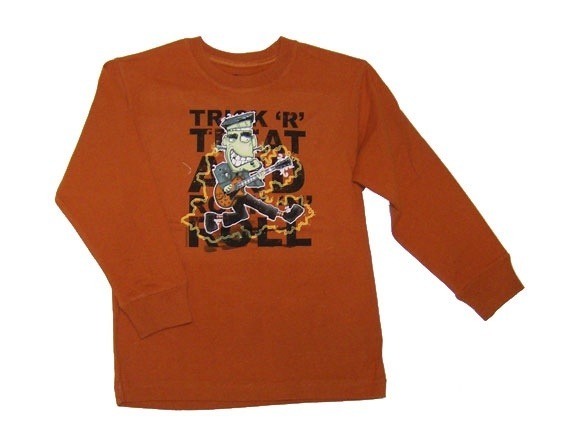 Trick or Treat Rock N Roll Shirt by Wes and Willy: this long sleeve dark orange shirt is perfect for Halloween. It features the great rock n roller monster Frankenstein wailing on his guitar to some rocking monster hits. 100% cotton it is perfect for Halloween and its durability is great since your boys will live it so much it will see a lot of wear time. 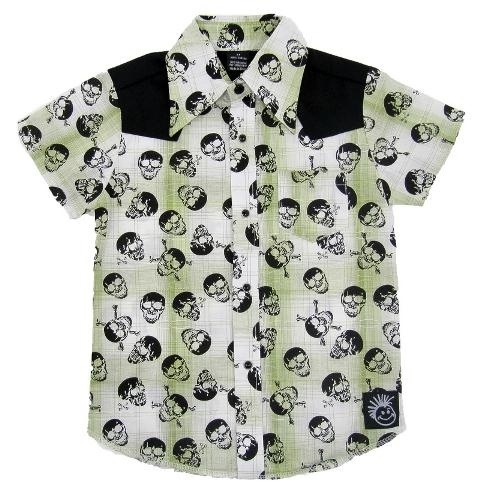 Rockabilly Plaid Skulls Shirt by Knuckleheads: this great plaid button up shirt is fun, funky, and kooky enough for Halloween. The green color is fun and bright and the black and white skulls are the perfect look for Halloween. Now your little monster can do Halloween with style. 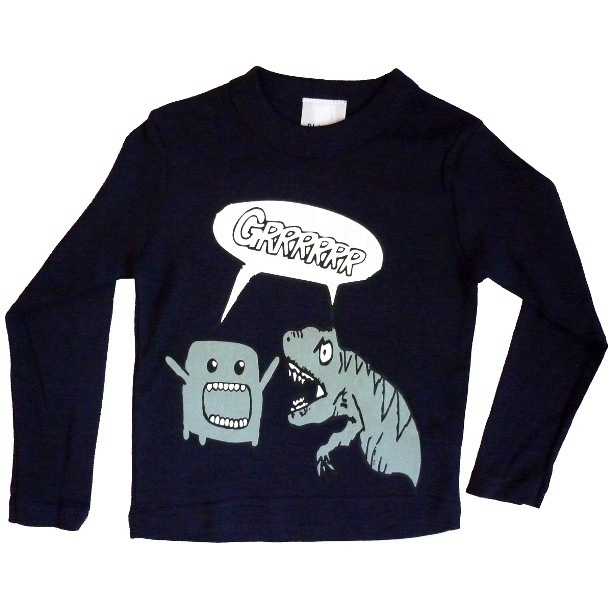 Grrrr Shirt by Pluto: this is a great shirt for your little Halloween enthusiast. The dark navy long sleeve tee features to great monsters growling at one another. Fun and playful it is a great look for Halloween. Munchin Dinosaur Shirt by Wee Winter Woolies: this is the cutest shirt for a little boy in October. 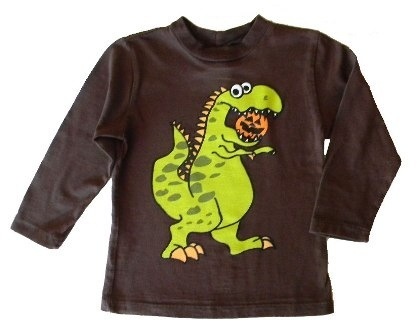 It is long sleeved and brown with a bright green dinosaur chomping on a jack-o-lantern. It will bring out oohs and ahhs all month long. So head over to The Boy’s Store now and check out all the spooktacular gear your little boys will need. This entry was posted in boys clothing, Featured item and tagged halloween, October, Outfits, shirts, the boys store on October 13, 2012 by Lacy.